By car, you may take South Luzon Expressway and exit to Southwoods, Carmona or Sta. Rosa or you may take Aguinaldo Highway. We’re conveniently located right beside the highway. 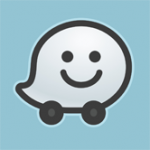 Here are our Waze link for driving directions.